The case that 23 people are being tried for "being a member of an armed terrorist organization" and "propagandizing for a terrorist organization" continued at the İstanbul 27th Heavy Penal Court yesterday (February 14). Three of the 23 people, including journalist İsminaz Temel, were in pretrial detention. Announcing its interim decision, the court ruled that Temel shall be released and an international travel ban shall be imposed on her. The Etkin News Agency (ETHA) reporter has been arrested for 16 months. The court ruled that Erhan Kakça's and Coşun Yiğit's arrests shall continue. The other defendants' international travel bans will also continue. The next hearing will be held on April 24. The court board for the case was changed before the hearing. All the arrested defendants and some of the other defendants were present at the court hall. Statements from the anonymous witnesses have been read in the hearing. Anonymous witness F.K. refuted his/her own statement, saying that the defendants do politics in a legal political party and he/she does not have a finding that relates the defendants to a terrorist organization. After the witnesses' statements, the Prosecutor's Office requested that the arrests of the defendants shall continue on the grounds of "the current state regarding the evidence and the suspicion of fleeing." "We have been on trial since one and a half year. In the prosecutor's opinion, the reason for the continuation of the arrest is spoliation of evidence and suspicion of fleeing. The last witness testimony was put in the file three years ago. For this whole time, there has not been new evidence or testimony. "I am working at the ETHA. I have been doing journalism for years. The protests, demonstrations or photos are not illegal. Moreover, I was there as a journalist chasing news. "I think my freedom is restricted and I demand my release." Temel's attorney Özcan Kılıç said in his statement, "ETHA, which my client works for, is a legal agency and continues publishing. It is unacceptable that my client is charged because of working for an agency that has not been convicted." Kılıç requested his client's trial. Attorneys of other defendants also requested their clients' release. The court ruled for Temel's release and other defendants' arrest to continue. Access to the website of the Etkin News Agency (ETHA) has been prohibited in Turkey since July 27, 2017. The agency has still been publishing and sharing its news on its Facebook account. Editor İsminaz Temel and reporter Havva Cuştan from the Etkin News Agency were arrested on September 25, 2017 while reporter Ali Sönmez Kayar from the same agency was arrested on February 6, 2018. Adil Demirci, who was detained on the same day as Pınar Gayıp and Semiha Şahin was arrested on April 17. The number of arrested ETHA journalists has increased to six with the arrests of Gayıp and Şahin. 23 lawyer and journalists 13 of whom are pending trial in jail are charged with "propagandizing for an illegal organization". The news covered by the journalists are cited as offense. 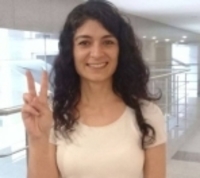 While Cuştan was released at her first hearing on July 17, Kayar was released on October 31, 2018.